Forton United Reformed Church is a small and friendly church in a peaceful and enclosed leafy setting near the centre of the village. 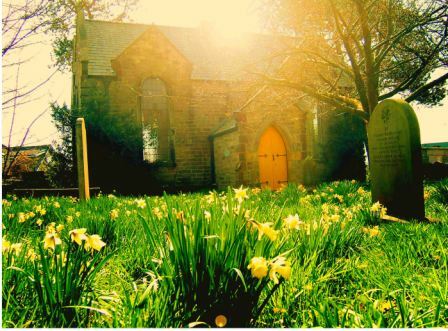 Our historic churchyard provides a lovely spectacle of wild flowers and blossom at all seasons of the year. Sunday morning worship is at 9.15 a.m., with communion on the first Sunday of the month. There are special events during the year – concerts, talks, presentations and fairs. We are a small congregation, but we play an active part in Forton Churches Together, keeping faith with the United Reformed Church’s strong commitment to church unity. Couples use our historic little church as a peaceful and picturesque setting for their wedding ceremony.